It offers best estimates at multiple dates for each of the world’s religions for the period 1900 to 2050. The WRD will be constantly updated with new sources of data as they become available, such as estimates of religious affiliation at the province level within countries and religious freedom information for all countries. All major world religions, analyzed by geographic region and people groups. Comprehensive country religious makeup, demographics, and trends. Population makeup, year begun, and growth rates. Population data on all major cities & provinces. Detailed information covering religion, culture, and geography. Answers to frequently asked world religion queries. If your institution would like to receive a price quote or request a free trial, please send an email to sales-us@brill.com (for customers in the Americas) or sales-nl@brill.com (for customers in Europe, Asia, Africa, and Australia/Oceania). or outside USA: +31 (0)71-53 53 566. Why not daily, or weekly or monthly … Quarterly updates are not only opportunities to introduce completely new features or fields or modules to the Database, as is often the case, but every update inherently includes the results of a further three months of research. Todd M. Johnson and Brian J. Grim, eds. World Religion Database (Leiden/Boston: Brill, 2018). Todd M. Johnson and Brian J. Grim, eds. World Religion Database (Leiden/Boston: Brill, accessed MONTH YEAR). The World Religion Database contains data on 18 major religious categories, including atheists and agnostics. It provides the best estimates for each of the religions as well as major traditions for Muslims, Christians, Hindus and Buddhists, in every country in the world (234) for the period 1900 to 2050. The World Religion Database has extensive data on the world’s 234 countries and 22 United Nations regions. The countries can be further defined by 1,800 major cities and 3,000 provinces. Field values are determined through extensive research and are verified for consistency of definition and interpretation, and are implemented consistently on a worldwide basis. 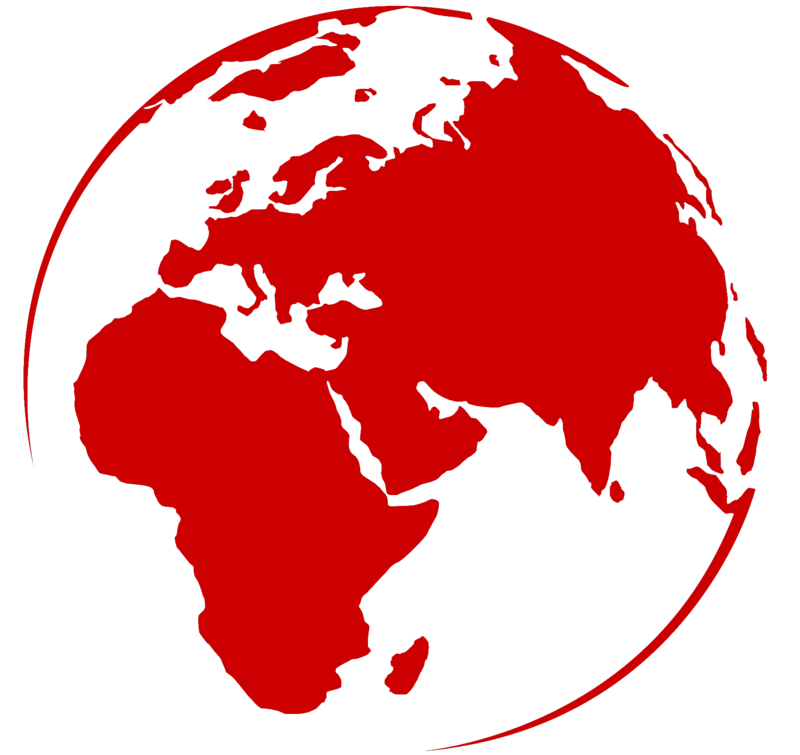 Also available are religious profiles for nearly 100 groups of countries such as: The European Union, NATO, the Middle East, ASEAN, the Balkans, UN Security Councils, Belt and Road Initiative, the G7, former USSR countries, Global North and Global South, Communist states, sub-Saharan Africa, and custom-made collections of countries or regions. A unique feature of the WRD is its analysis of religious diversity worldwide in 1900, 2015, and 2050. Each country’s Religious Diversity Index (RDI) value is calculated for religions over 10% of the country’s population, over 5%, and over 0.5%. The WRD offers contextual, country-level data for comparison and analysis. These data are updated regularly and are sourced from the United Nations, the World Bank, and other reputable organizations. The WRD can answer these questions, and many like it! Are there more Muslims or Christians in the world? What is the religious demographic profile of China? How fast is Hinduism growing in the Sweden? Are census figures available for religious affiliation in Brazil? What is the breakdown of Sunnis and Shias in Pakistan? How many Buddhists were there in Asia in 1900? What will be the largest religion in Nigeria in 2050? The World Christian Database transforms current statistics on religion into a real-time analysis tool that takes just minutes to perform even detailed research. This comprehensive database brings together a fully updated and cohesive religious data set with a world-class database architecture. The result is a simple, yet powerful database tool that enables users to customize reports and download data for in use in charts, tables, and graphs. The World Christian Database (WCD) is based on the 2,600-page award-winning World Christian Encyclopedia and World Christian Trends. This extensive work on world religion is now completely updated and integrated into the WCD online database. Designed for both the casual user and research scholar, information is readily available on religious activities, growth rates, religious literature, worker activity, and demographic statistics. Additional data is available on population, health, education, communications, and other areas. A full-time staff at The Center for the Study of Global Christianity is dedicated to updating and maintaining the World Christian Database. New information from thousands of sources is reviewed on a weekly basis to continually refine and improve the WCD. Most importantly, the staff at WCD derives much of their information from multiple cross-correlated sources and presents their final statistics such that they conform to data definitions and are consistent with related information throughout the database. This cohesive database enables users to quickly correlate variables or compare entity groups across multiple fields without spending hours to confirm consistency of measurement across data sources. The World Christian Database is the complete source for statistics on religion. The World Christian Database features a simple keyword search to find information quickly. Information is conveniently displayed by category allowing the user to drill down to detailed information at their leisure. For those that prefer to browse, several pre-formatted directories guide users through the information on country, peoples, religions, and denominations. Sophisticated users can customize their searches using advanced field and criteria sorting routines. This enables users to find and organize exactly the data they need and format it the way they want. Users can also use the Workspaces feature to save and organize queries, make notes on bookmarks, and communicate with other researchers. Quarterly updates are not only opportunities to introduce completely new features or fields or modules to the Database, as is often the case, but every update inherently includes the results of a further three months of research. Changes are made almost daily to the underlying research database from the scores of sources that become available every day. But it is every three months that all these changes are freshly reconciled with each other to create the comprehensive and internally consistent picture published quarterly in the World Religion Database. With 7 billion people growing and changing and moving every day, the population of each People group relative to others, the percentage of each religion in each People and hence in each country, the size of each denomination, and of each city and province, is constantly, and often subtly, changing. Every day new information becomes available as to which of those subtle shifts have bubbled to the surface to become apparent and noticeable. Every day forecasts and estimates of one statistic or another are refined by researchers across the world. The change in one statistic invariably effects others. If a denomination has turned out to be growing twice as fast as expected, it is not enough to just change that one statistic--depending on where the growth came from, other denominations or other religions will have declined, and the religious percentages of the People groups effected will also change accordingly. A change in today's statistic may also effect estimates of past years, and will of course effect future projections. Each quarter the picture will change because each day things are changing, but the quarterly updates should always be internally consistent and based on the latest reliable globally reconciled data. Demographic estimates of Christianity in Mongolia, India, and South Korea were strengthend in November 2018 when World Religion Database editor Todd Johnson, took a three-week trip to India, Mongolia, and South Korea to meet with scholars and church and mission leaders. Valuable feedback from the presentation of research results was received providing a further level of field verification. Xiongan, Chiang Rai, Wollongong, and Myrtle Beach are some of the 195 cities in 49 countries are included for the first time in the 2018 edition of the United Nations listing of cities with over 300,000 people. They represent a combination of smaller cities growing to over 300,000 for the first time, or the boundaries of cities changing (some merging and some splitting). As cities grow to over 1 million in population WRD will add a percentage for the largest religion and a listing of other religions in the city numbering over 1 percent. City definitions and population source: United Nations, Department of Economic and Social Affairs, Population Division (2018). World Urbanization Prospects: The 2018 Revision. We continue to foster a strong working relationship with the media and offer qualified updates & media journalists guided access to the WCD editorial team with questions pertaining to statistics on Christianity. To contact the editors please send an email to wcd@brill.com or to the researchers at info@globalchristianity.org. Todd M. Johnson is Associate Professor of Global Christianity and Director of the Center for the Study of Global Christianity at Gordon-Conwell Theological Seminary. Johnson is visiting Research Fellow at Boston University’s Institute for Culture, Religion and World Affairs leading a research project on international religious demography. He is co-editor of the Atlas of Global Christianity (Edinburgh University Press) and co-author of the World Christian Encyclopedia (Oxford University Press, 2nd ed.) and World Christian Trends (William Carey Library). He is editor of the World Christian Database (Brill), co-editor of the World Religion Database (Brill), and co-author of The World’s Religions in Figures (Wiley-Blackwell). Brian J. Grim is President of the Religious Freedom and Business Foundation. He is an associate scholar at Georgetown University and an affiliated scholar at Boston University’s Institute on Culture, Religion and World Affairs. He is also a member of the World Economic Forum’s council on the role of faith and an advisor for the religion and geopolitics project of the Tony Blair Faith Foundation. Grim received a doctorate in sociology from the Pennsylvania State University. He is co-author of The Price of Freedom Denied (Cambridge Univ. Press) and The World’s Religions in Figures (Wiley-Blackwell). Gina A. Zurlo holds a Ph.D. in History and Hermeneutics from Boston University (2017). She is a Visiting Research Fellow at Boston University’s Institute on Culture, Religion and World Affairs as well as Assistant Director of the Center for the Study of Global Christianity at Gordon-Conwell Theological Seminary (South Hamilton, MA). Her research interests include quantitative sociology and demography of religion. She is the co-editor of the World Christian Database and associate editor of the World Religion Database. Peter F. Crossing is the Data Analyst for the Center for the Study of Global Christianity, working on the World Religion Database (Brill) and World Christian Database (Brill). He has a Diploma of Theology (Missiology) from the Australian College of Theology at WEC's Missionary Training College and has gained further computer mapping and database expertise through work at the Sydney Centre for World Mission, the National Church Life Survey, and Mapinfo Australia. His analysis has also contributed to numerous publications, including the World Christian Encyclopedia (Oxford University Press), Atlas of Global Christianity (Edinburgh University Press), and The World’s Religions in Figures (Wiley-Blackwell).